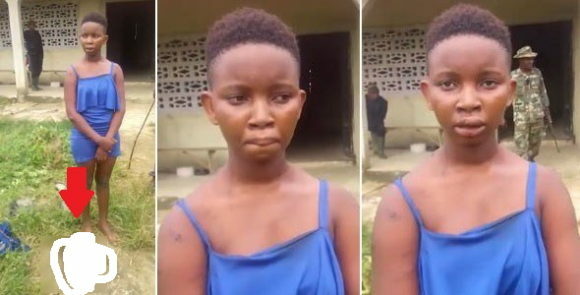 A very young girl, identified as Iheaoma Chidinma has been caught with a human head. She is from Mgbirichi imo state. She was interrogated by the military men, and she revealed she was taking the head inside a bush to bury it. According to the information gathered in the video, she claims her friend was the one who cut off the head, and said she has killed two people so far. Watch the shocking video after the cut.